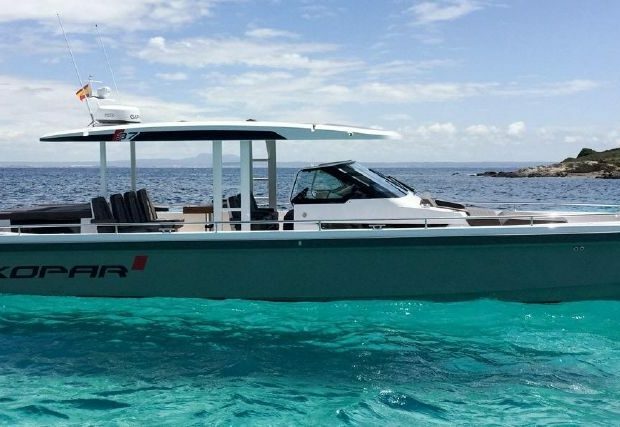 The Axopar 37 is the perfect option for a day charter with friends and family in the BVI! 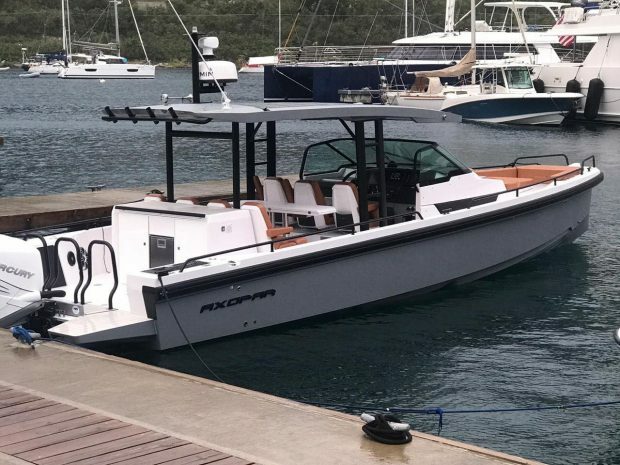 The Axopar offers innovative styling and plenty of comfortable seating for everyone in your group to enjoy while cruising to the best islands and beach bars! If you’re exploring the BVI from a cruise ship or while staying in a villa, a private day charter with is the perfect way see the ‘must see’ spots! A day charter with Virgin Charter Yachts is always completely private, and totally customizable to the things you want to do and see. There is no ‘set’ itinerary, and our captains will also ask you at the start of your day if there are specific places you want make sure and see during your charter. 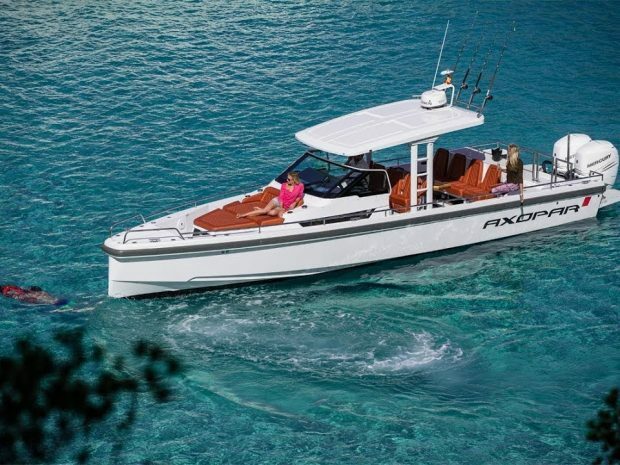 All our charters include a fantastic captain, fuel, cruising permits, snorkel gear and water, soda, beer and wine. 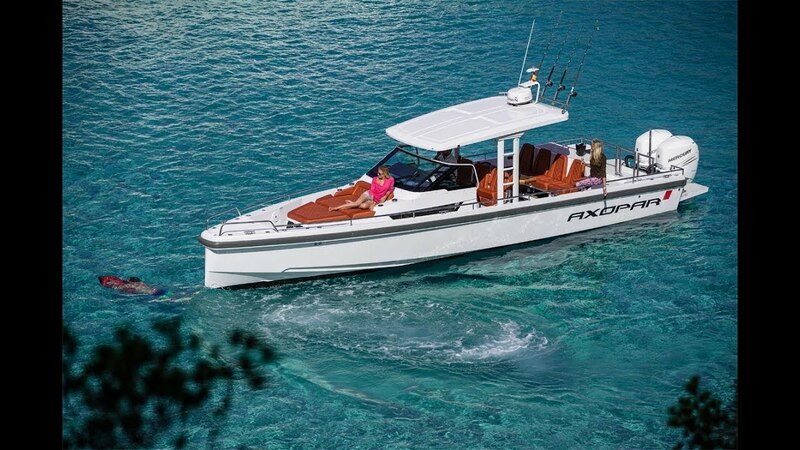 The adventurous Axopar 37 T-Top will redefine your boating experience, while you are island hopping all around the BVI! 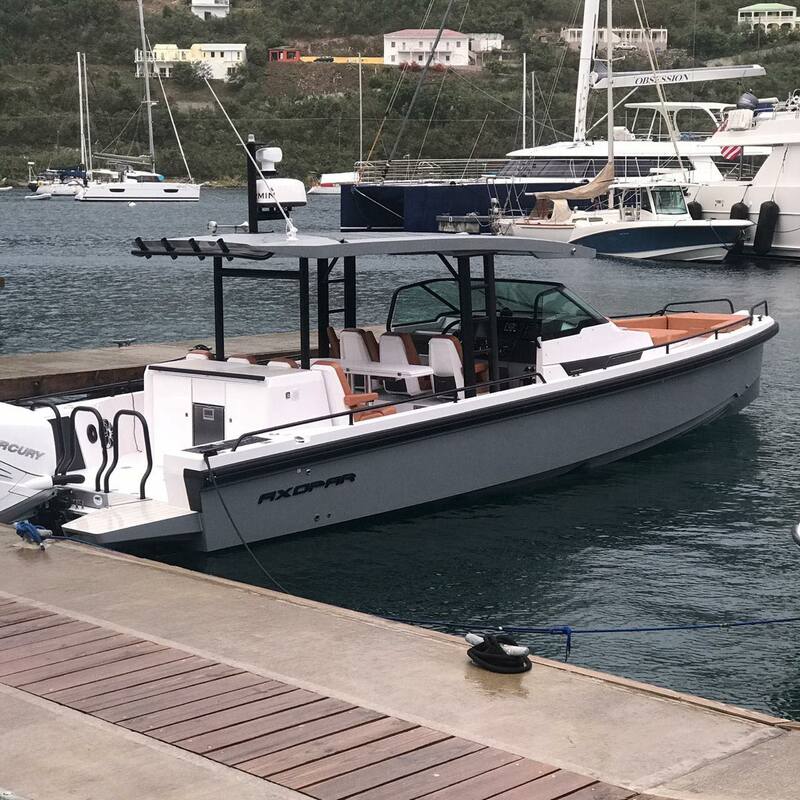 For driving in a diverse range of seas, its low resistance and twin stepped hull provides you with responsive handling at all times and ensuring a comfortable and safe ride. 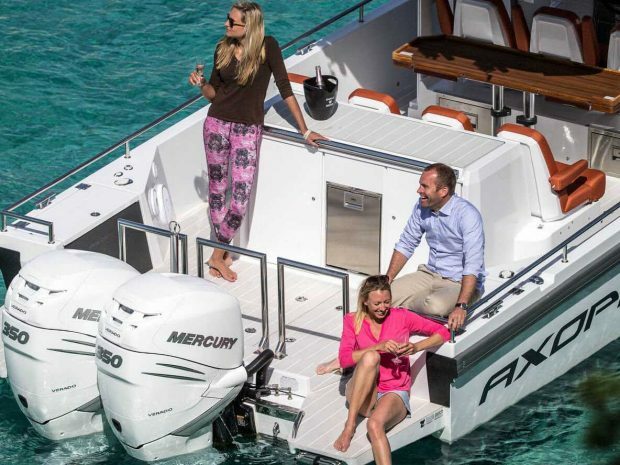 The Axopar 37 T-Top features a spacious and easily accessible walk around deck. 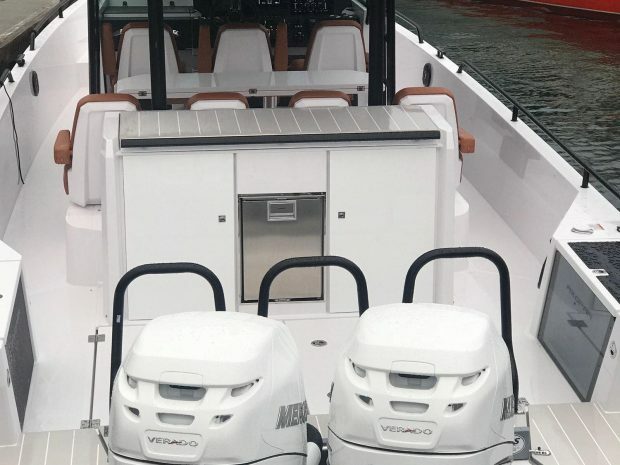 It has very open and convenient cockpit seating with seven separate seats around a large sliding table, a comfortable sun bed on the fore deck, and a spacious aft deck area with wet bar. 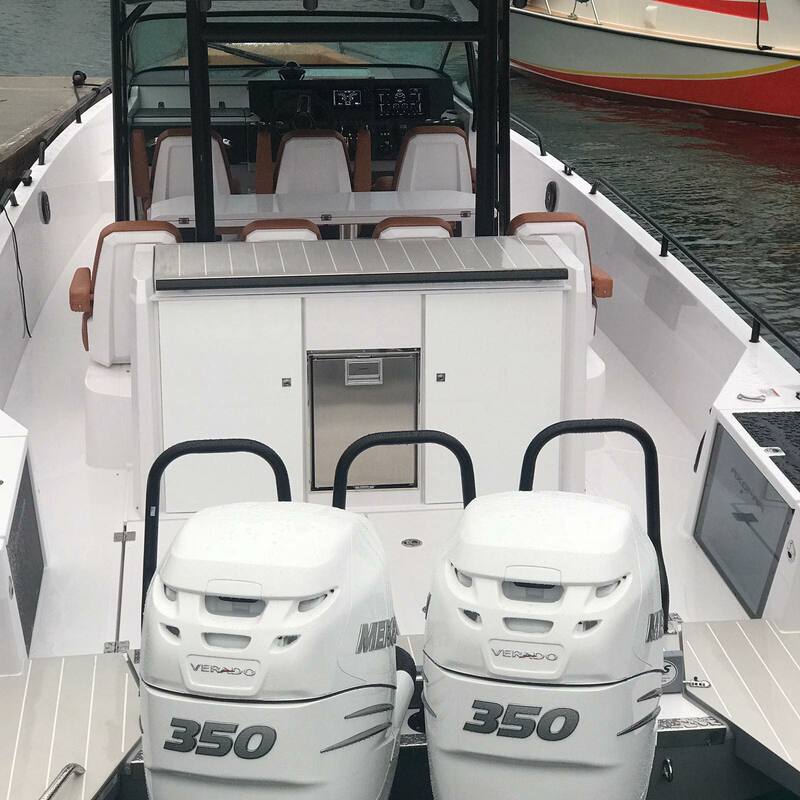 The centre console layout with class best helm position offers excellent visibility, communication and access around the boat.